My childhood years were spent in a rural farming community—not a lot of folks. Amidst that small population I can remember at least three ladies named Ruby. It must have been a popular name during the times they were born. It was never one of my favorite names but I can truthfully say that it is one of my favorite gems. In fact, RED is my favorite color. It denotes passion, energy, spice, and fire. If you study early portraits of European and Asian royalty, you will likely see them wearing either emeralds or rubies. They were considered very valuable then as well as now. Most rubies are mined in Thailand and surrounding Asian countries and are held in high esteem. 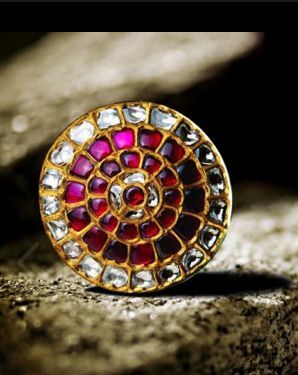 Many ancient Asian buildings and temples had rubies laid beneath the foundation to secure good fortune to the structure. When I read this, I thought “What do I have beneath my foundation (life) to secure good fortune (hope, a future)”? Proverbs 31:10 tells us that “a wife of noble character is worth more than rubies” So let’s delete the word “wife” and insert the word “person”…..”a person of noble character”. What exactly denotes a noble character? Well, truth for one thing; faithfulness for another; and let’s add a Christ-like attitude. I’m sure there are many more things you can think of to describe a noble character. But one thing is certain, a foundation must be built on something strong and solid…like a rock. For me, that Rock is the Truth, the Faithfulness, the Attitude of Christ. And that Rock, folks, is definitely more precious than rubies.